Lumbar spine x-ray is a medical imaging test that can help to diagnose a wide range of skeletal problems in the vertebral column. X-rays are ideal for the diagnostic evaluation of bone-related pain syndromes, but are not indicated for visualizing soft tissue pathologies. Since most diagnostic processes begin without knowing the source of pain, this limitation immediately puts x-rays at a distinct disadvantage when compared to more advanced technologies like CT scan or MRI. X-rays are the oldest form of medical imaging and are still very much in use today. X-ray technology is simple, inexpensive and easily integrated into traditional medical and complementary medical practice. 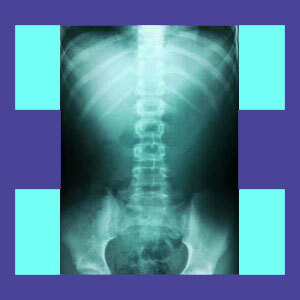 For some health issues, x-rays provide an ideal means of visualizing the interior of the body. Meanwhile, for other health concerns, x-rays are useless and might even hinder proper diagnostic processing. This discussion focuses on the use of x-ray technologies to diagnose lower back pain. We will provide an analysis of the risks and benefits of x-ray utilization, as well as some important knowledge that every patient must understand. X-rays allow patients to check the general condition of their spine without major expense, time commitment or inconvenience. X-rays are fast and cheap. They can accurately depict the skeletal system of the spine and provide some clues of the existence of select soft tissue problems. X-rays are ideal for monitoring skeletal issues in the spine, such as scoliosis, lordosis, spondylolisthesis and general osteoarthritis. X-rays are less useful for diagnosing focal areas of stenosis, ligamentous ossification, facet joint syndrome and degenerative disc disease, but can still visualize these conditions fairly accurately. X-rays can not accurately visualize herniated discs, ligamentous hypertrophy and any type of muscular lower back pain concerns. The major benefit of x-ray technology is its virtually universal availability worldwide. Not every geographic location has access to more advanced medical imaging technologies, such as magnetic resonance imaging, but x-rays are within reach of even the most remote medical clinics and hospitals. A secondary benefit of x-ray technology is the development of fluoroscopy, which is a live x-ray machine that allows doctors to see the body in real time with movement, rather than as a static image. The major limitation of x-ray technology is its inability to accurately image soft tissues. Since so many of the vital tissues of the spine are soft structures (including intervertebral discs, ligaments, nerves and muscles), this eliminates x-ray as a potential diagnostic tool for a great number of possible pain mechanisms and conditions. X-rays do demonstrate health risks, especially after repeated exposure. Although risks are mostly negligible in normal doses, x-rays can damage organic tissues and are known to cause serious consequences to overall health in particular circumstances. Additionally, some patients might be contraindicated from exposure to x-rays due to particular health problems, pregnancy or other concerns. X-rays can still be subjective in their evidence. Remember, all films must be read by a radiologist and can sometimes be misinterpreted, leading to mistaken diagnosis. 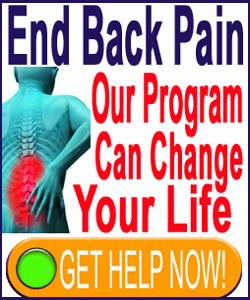 Most back pain sufferers have experienced x-ray technology early on in their diagnostic and treatment efforts. Generally, x-rays will precede more advanced, time consuming and expensive imaging technologies in order to ascertain if there is a simple explanation for pain or identify the effects of a known trauma, such as a motor vehicle collision. X-rays remain the industry standard for identifying fractures anywhere in the body and are particularly useful for this task in the spinal anatomy. Since they are quick to perform, x-rays are perfect complements to a trauma diagnostic evaluation when the extent of a patient’s injuries is simply not known. X-rays can also provide evidence of some types of pathologies, even if it can not accurately image them. A perfect example is diminished intervertebral space between 2 spinal bones that is likely to be indicative of either disc desiccation or possible herniation. Therefore, x-rays are often used to gather preliminary evidence that is needed to secure financial coverage for more advanced imaging testing under many health insurance plans.